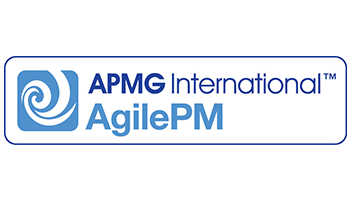 The Agile Project Management™ (AgilePM®) certification addresses the needs of those working in a project-focused environment. The course covers an approach to project management that aligns with PRINCE2®. Based on the proven fundamentals within DSDM Atern, the certification provides the ability to deliver Agile Projects in organizations requiring standards, rigour and visibility around project management. The course will suit project managers who want to add to their knowledge of traditional approaches and who work in a fast-paced, changing environment and want to embrace the empowerment provided by agile methods. The qualification is aimed at both practising project managers and agile team members who want to become Agile Project Managers. The APMG-International Agile Project Management and Swirl Device logo are trade marks of The APM Group Limited.